Though the teaser they released on Wednesday mostly gave it away, TNA confirmed on Thursday's episode of Impact that Cody Rhodes would soon be debuting for the promotion. In a pre-taped video that aired during Impact, Rhodes announced that he would be appearing at TNA's upcoming Bound for Glory pay-per-view on October 2nd. Rhodes said, "You don't know a man until you walk a mile in his shoes. I learn more about me every day, with every mile. My past is just that. My story is being written one step at a time. My future is decided by the roads that I take. I am bound for a new adventure. Where I'm going there is gold, there is glory, because for me, all roads lead to Bound for Glory." 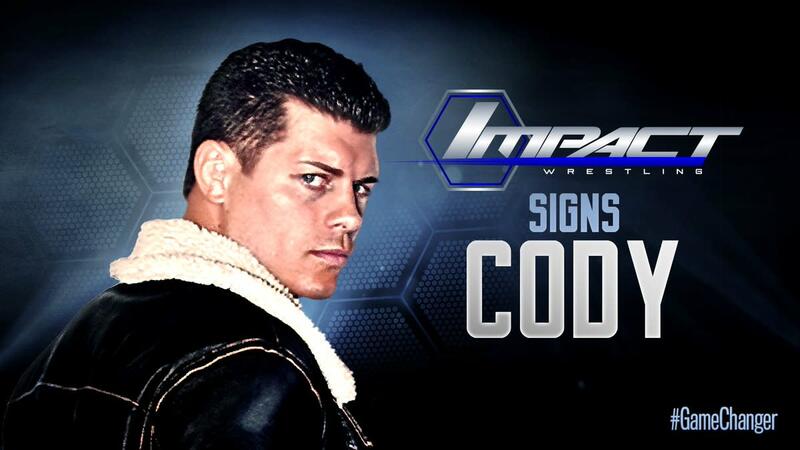 On their Twitter account, TNA referred to Rhodes simply as "Cody" after deleting a graphic that had announced him by his WWE name. Dave Meltzer reported earlier this month that Rhodes' wrestling future would involve working for TNA. The official announcement comes in the same week that TNA confirmed they have signed Rhodes' wife Brandi as an active wrestler.